Home / Bank Coaching Chennai / Education / IBPS PO / IBPS PO Coaching Chennai / IBPS PO Exam 2018 / IBPS Study material / How to Make Study Plan for IBPS PO Mains 2018 Exam? How to Make Study Plan for IBPS PO Mains 2018 Exam? Every year IBPS PO Exam is conducted by Institute of Banking Personnel Selection. IBPS PO Prelims 2018 Exam was conducted on 13th and 14th October 2018 and the result of the same is expected in the month of November 2018. The candidates who have appeared in Prelims must be looking forward for the result. There is no need to wait for the result if you have performed well, you are sure to qualify the exam. The time between the result and the IBPS PO Mains exam is less than a month therefore it is better to prepare for the MAINS before the result if you have not done with the prelims exam preparation. Before you start your exam preparation for IBPS PO Mains exam it is advisable to have a detailed look at the exam analysis of IBPS PO Mains 2017 Exam. It had a descriptive section of 25 marks having one question on letter writing and one on essay writing. Section – wise Exam Analysis of IBPS PO Mains 2017 The question paper had a moderate to difficult level of questions in all the sections. English section had a moderate to difficult level, Reasoning was difficult, Data analysis and Interpretation was moderate. General awareness section had moderate level. Logical Reasoning New pattern was seen in this section with questions on topics like critical reasoning, direction sense and analytical reasoning. The questions on critical reasoning, direction sense and analytical reasoning followed a new pattern. On the other hand, blood relations were coded. Coding decoding questions were again new type with alphabetic strings. Critical reasoning had 8 questions, 5 questions of coding decoding and 4 from linear arrangement. English Comprehension The questions in this section had some new types of questions which had made the section from moderate to difficult. Only Reading Comprehension was in the old pattern rest of the questions were in new pattern. Cloze test and fill in the blanks was asked with set of words rather than one word. There were 10 questions with RC, 7 from cloze test, 3 each from Error spotting and Para jumbles and 4 from antonyms and synonyms. Data Analysis & Interpretation This section was of moderate level. Questions from Data sufficiency and Data comparison had a new pattern. Each topic had 5 questions in the question paper. There were new types of questions in Geometry, Polynomials and Algebra. There were 15 questions on Data Interpretation. General Awareness Section This section had moderate level questions which included 15 questions from banking awareness with current affairs and static GK. After reviewing and analyzing the entire question paper one can make a targeted study plan to cover the syllabus in time and practice the topics with new pattern. It is advisable to join online test series to take mock tests. These portals design the practice tests on the latest exam pattern which will help you prepare effectively for the exam. It will make you attempt the exam comfortably and confidently. 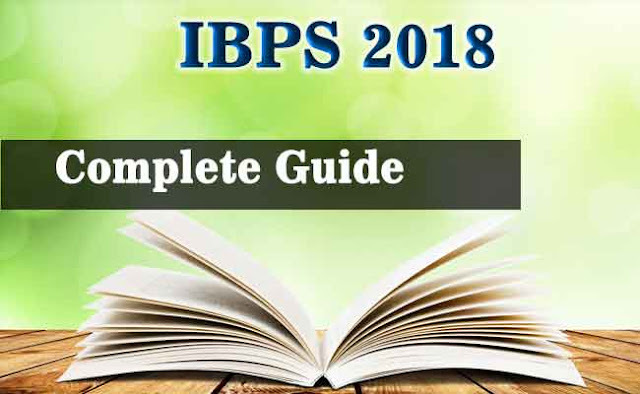 Buy a competitive IBPS Study material to revise the topics already studied for Prelims exam in case you have one then revise the common topics again to master them for IBPS PO Mains 2018 Exam.